During the recession, you put off remodeling projects while you tightened your belt. You may have browsed Southern Living Magazine looking for ideas for home renovations, but your remodeling ideas never got past the daydream stage. But now, you’re finally ready to invest in the unique home renovations you’ve been dreaming about. Of course, actually turning those dreams into blueprints is a long, complicated process. In days gone by, homeowners would hire an architect or interior designer when remodeling their home. Then, that architect would, in turn, hire contractors to turn those plans into reality. Often they would hire different teams for different parts of the house. Unfortunately, that creates an adversarial relationship between the designer and contractors. And what do you do when the contractor tells you one thing and the architect another? That’s where design and build companies come in. Design-build architecture brings the design and building process under one roof, ensuring a seamless transition between each phase of the project. Design and build contractors work with your architects, not against them. Plus, by using a single design firm for your entire remodeling project, you can cut some of the redundant costs that often come with large remodeling projects. How To Choose an Architect/Design and Build Contractor? The National Association of Home Builders reports that bathroom remodeling is the most requested home improvement project, with 78% of renovation jobs involving bathroom work. But in 2015, 60% of homeowners are spending more on home improvements than those who did so in 2014. Whether you want to build a new master bathroom or a whole home renovation, you want to spend your money wisely. Can you provide photos and references for similar projects you’ve completed? Can you provide a written estimate? What happens if the project goes over the agreed budget? What makes your designers unique? Do you have experience with contemporary architecture? 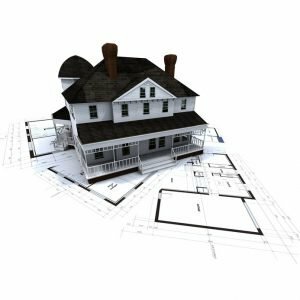 What about colonial home renovation? Do you have experience working with historic home renovations? You don’t want to open your home to just any design and build contractors. You want to find a firm that makes you feel comfortable and even excited about the project. Any halfway experienced contractor can put up a new roof, build a backyard deck, or install new fixtures in your kitchen. But if you’re looking for the kind of unique home renovations you see Southern Living Magazine and your friends’ Pinterest boards, then that means working with experienced architects and their own team of contractors. We’ve got one last tip for picking the perfect residential design and build firm for your family. The best firms aren’t just proud of their work, they like to show it off. When you visit their website, their past projects should be front and center.